Looking for discounted Aberdeen hotels in Scotland? Here we showcase a superb selection of special Aberdeen short breaks, hotels savings, discounts and hotels in Aberdeen you can enjoy. Choose from leading luxury city centre hotels to cheap hotel chains in Aberdeen. Browse accommodation in Royal Deeside, on the famous Grampian whisky trail and more with Hotel Deals Scotland's latest special offers. For the best price hotel deals in Aberdeen we recommend Late Rooms. For the top discounted autumn hotel breaks in Aberdeen we recommend Macdonald Hotels. The best Aberdeen hotels include accommodation ranging from 4 or 5 star luxury hotels to boutique, golf resorts and spa hotels sprinkled around Aberdeen and Royal Deeside. Many Aberdeen hotels offer spa breaks and business event packages for superb office getaways and corporate functions in the Grampian region of Scotland. 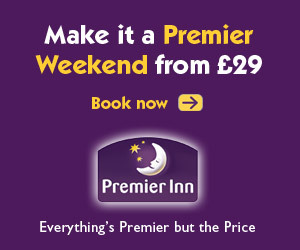 Need A Late Aberdeen Hotel Last Minute? For those people looking to book Aberdeen hotel rooms late, heres the latest accommodation discounts from Late Rooms in Scotland. The Carmelite Hotel Aberdeen is located in the heart of this bustling Scottish metropolis. Situated just off of the main high street, this Aberdeen hotel affords guests easy access to numerous modes of public transit and the many entertainment and shopping venues which are located near the centre of the city. From the Carmelite Hotel Aberdeen, it is an approximately 15-minute drive to the Aberdeen International Airport. Set in the heart of Scotland's Royal Deeside within a short distance of Balmoral Castle, Loch Kinord's ski and snow board friendly lodges and hotel accommodation makes an ideal location to explore the many winter sports and ski fields scotland has to offer. With comfortable guest rooms, a jacuzzi and traditional highland whisky close to hand, it will be the perfect finish to a great days skiing at Glenshee. The Aberdeen Douglas hotel offers guests a pleasant stay in a modern and stylish hotel combined with the highest standards of Scottish Hospitality - the first choice for business travellers and weekend city breaks in Aberdeen. Within a few minutes of the Douglas Hotel is the Aberdeen Theatre and Music Hall, Galleries, Shopping Malls and a wide variety of Aberdeen's best restaurants and bars. Privately located in the breathtaking Grampian Highlands in Aberdeenshire this Scottish castle hotel's set amongst an enviable location overlooking some of Scotland's most beautiful scenery. A Converted Victorian country house set in peaceful secluded country location, amidst acres of gardens and woodland, Kildrummy castle hotel retains its 19th century interior with traditional wall tapestries and oak panelling. Many guest rooms in this castle offer kingsize or four-poster beds making that romantic break in Scotland all the more special. The Malmaison Hotel Aberdeen is located near the centre of this elegant city. There are ample opportunities to enjoy dining, nightlife or to just spend time perusing the many shops in the centre of town nearby this 4 star Aberdeen hotel. Le petit spa in Aberdeen at Malmaison is the perfect place to retreat to enjoy a place of soothing day spa therapies and much-needed health treatments. Copthorne Hotel Aberdeen is ideally located close to many Aberdeen attractions and offers traditional charm combined with modern amenities. This Aberdeen hotel is located on the Aberdeen's West End, roughly a mile from the many opportunities to engage in sightseeing or simply shopping the day away. The Aberdeen International Airport is approximately 10 miles from the Copthorne Hotel Aberdeen. The Maryculter House Hotel Aberdeen is located next to the famous river Dee. It is situated within its own landscaped grounds which provide a tranquil environment. Attractions in Aberdeen include the many theaters, Aberdeen University, the Maritime Museum and other points of interest both commercial and historical. The Aberdeen International Airport is the closest to Maryculter House Hotel Aberdeen. The Britannia Aberdeen Hotel is located convenient to many of the attractions that make this old Scottish city a popular destination. This hotel in Aberdeen is located near shopping malls and Aberdeen's centre of commerce which makes it convenient for both business travel and pleasure. Onsite facillities include an indoor heated swimming pool, sauna and 24-hour Aberdeen airport transfer service from the hotel. Located in the West End of Aberdeen, the Express by Holiday Inn Aberdeen is proximate to many of the city’s foremost attractions. Nearby this hotel guests will find the Royal Deeside, the Maritime Museum and Aberdeen University. Public transportation is ample in this part of the city. There are numerous golf courses located in the immediate area. This popular Aberdeen hotel is seven miles from the Airport. The Mercure Ardoe House Hotel & Spa is an award winning Aberdeen spa hotel located outside the city in the Scotland's Grampian hills rich in history and heritage. This luxurious, secluded Aberdeen 4 star hotel accommodation is surrounded by 30 acres of woodland countryside which offers guests a tranquil and peaceful luxury getaway or a timeless romantic short break in north-eastern Scotland. The Thistle Hotel Airport Aberdeen is located 6 miles from Aberdeen centre and very close to the Aberdeen International Airport. This Aberdeen hotel allows guests the convenience of being located near a major transportation hub. The centre of the city may be reached from the airport via various public transportation links. The Thistle Hotel Airport Aberdeen is located approximately 500 yards from the airport. The Hilton Treetops Hotel Aberdeen is situated near the centre of the city on Springfield Road. A 10-minute journey by car will deliver guests to the heart of Aberdeen where they can explore the many nightlife options, boutiques and restaurants available. This leading provider of Aberdeen accommodation is also located near to the Gordon Highlander Museum, the Maritime Museum and the Johnston Gardens. Aberdeen International Airport is located about 20 minutes from the Hilton Treetops Hotel Aberdeen. Located right next to the Aberdeen Exhibition and Conference Centre, this hotel in Aberdeen offers guests the ability to explore the heart of the city and all this bustling Scottish destination has to offer. This Aberdeen hotel is also nearby the Castle and Whiskey Trail. The Holiday Inn Aberdeen is located approximately 7 miles from the Aberdeen International Airport. The Norwood Hall Hotel Aberdeen is located only 3 miles from the centre of the city but is situated within its own seven-acre lot of woodland which provides some isolation from the activity of the city centre. Aberdeen itself is home to many sites including ones of historical significance and many nightclubs that are part of the city’s bustling nightlife scene. The nearest airport to the Norwood Hall Hotel Aberdeen is the Aberdeen International. The Holiday Inn Express Exhibition Centre Aberdeen is located near the centre of the city where there are numerous activities in which tourists may engage. There are also Aberdeen business facilities located in this area of town including industrial estates. Public transit options are ample. The Holiday Inn Express Exhibition Centre Aberdeen is located approximately 20 minutes away from the Aberdeen International Airport. The Jurys Aberdeen is located in the heart of the city. This provider of Aberdeen accommodation offers guests close proximity to attractions such as Union Street with its many nightclubs, restaurants and bars. Public transportation in this area of the city is ample. The Aberdeen International Airport is accessible from the Jurys Inn in Aberdeen via public transportation hubs in the centre of the city. The Marriott Hotel Aberdeen is located approximately 6 miles from the centre of this vibrant city. Within Aberdeen, attractions include the Maritime Museum, Aberdeen University and the many local theatres. There is lots of public transport options in Aberdeen which can take travellers to most locations. The Aberdeen International Airport is located just 3 miles from the Marriott Hotel Aberdeen. The Menzies Dyce Hotel Airport Aberdeen is located seven miles from the centre of the city. In Aberdeen, there are numerous museums to explore and the historic Old Town which can reveal the history of this city before it became the oil capital of the region. Nearby this Aberdeen hotel is located one of Scotland’s famous golf courses. The Menzies Dyce Hotel Airport Aberdeen offers a shuttle service to and from the Aberdeen International Airport. The hotel is located near Aberdeen city centre and the major transit routes of the A90 and A96 motorways. The Doubletree Hotel City Centre Aberdeen provides guests access to the many sites to be explored in the city centre and with convenient access to routes that can take them north to the Highlands or south to other north eastern destinations. The Doubletree Hotel City Centre Aberdeen is serviced by the Aberdeen International Airport. The Skene House Whitehall Suites Aberdeen is located near the centre of Aberdeen which affords easy access to numerous public transit options and tourist diversions. There is a golf course within a 10-minute drive of his hotel. A drive of a half an hour will deliver guests to the Whiskey and Castle Trails. This Aberdeen hotel is located near aberdeen restaurants, bars and movie theaters. The Aberdeen International Airport is accessible from the Skene House Whitehall Suites Aberdeen via public transportation links located at the centre of the city. The Station Hotel Aberdeen is located in the centre of Aberdeen near a railway station and numerous amenities. This area of the city is full of shops, restaurants and bars. There are also cinemas and shopping malls located in this part of this vibrant Scottish city. The Aberdeen International Airport can be accessed from the public transportation options nearby the Station Hotel Aberdeen. While the Skene House Rosemount Aberdeen is located near many of the most popular tourist destinations in the city, this Aberdeen hotel is also very convenient to destinations more sought after by those who are visiting the city on business. There is ample public transportation located in the centre of the city, not too far from this hotel. The Skene House Rosemount Aberdeen is accessible from the Aberdeen International Airport via public transportation. The Craibstone Suites Aberdeen is located along a tranquil, tree-lined avenue which offers travellers to Aberdeen a bit of distance from the most hectic parts of the city. This Aberdeen hotel, however, is also within close proximity of some of the city’s main shopping districts making this location very convenient. The Aberdeen International Airport is the closest to the Craibstone Suites Aberdeen. It is accessible by public transportation. The Summerhill Hotel and Suites Aberdeen is located near many of the city's most vital transportation links. This includes the A90 motorway and several different options for public transportation. The centre of Aberdeen itself is only 3 miles distant from this provider of Aberdeen accommodation. The Aberdeen International Airport is accessible from the Summerhill Hotel and Suites Aberdeen via public transportation or the nearby motorway. The Skene House Holburn Suites Aberdeen is located in the centre of the city where there are numerous shopping malls, restaurants, bars and nightlife establishments from which guests may choose. Other popular attractions near Aberdeen include the famous golf courses of which there are 37 in the immediate area of this hotel. Public transportation in Aberdeen deals guests of the Skene House Holburn Suites Aberdeen an easy journey from the centre of the town to the Aberdeen International Airport. Enjoy Christmas holiday breaks in in Aberdeen-shire. Two, Three and four night xmas breaks are now on sale. Celebrate New Years Eve hotel packages in Aberdeen. 1-3 night Hogmanay breaks are now available. Enjoy this leading Aberdeen spa hotel with their super cheap half board offer. Aberdeen, The Granite City, is very commercial but opens up to Royal Deeside, the Scottish holiday destination of HM The Queen and is now a stunning North East Scotland travel destination. Enjoy world class hill-walking, wonderful arts and photography opportunities, gliding, great loch and river fishing and superb game and mixed shooting and stalking… fantastic sightseeing, including Balmoral Castle, and a myriad of dramatic ruins, tower houses, magnificent mansions. And ‘Aberdeenshire’ - home of the Victorian Heritage Trail – and the Grampian Castle and Speyside Whisky Trails. A lot of contrasts – surrounding Aberdeen and to its north and north west is undulating farmland, the coastline varies from gentle to rugged, and Royal Deeside is a beautiful lowground green and forest area flanked by the great tops of Lochnagar , and split by the great River Dee. Ballater and Braemar are two delightful highland Scottish tourist towns that offer short breaks in Aberdeen. Visit Aberdeen for virtually everything outdoor: History, heritage, castle and whisky enthusiasts spoilt for choice. In Aberdeen itself, a real mix of largely commercial and budget luxury hotels with some wonderful hotel accommodations available in Royal Deeside, comprising traditional highland hotels and Scottish inns, lodges, country cottages, 5 star Scottish hotels and some award winning Scottish castle hotels. Book your hotel deal ahead in these Scottish cities within driving distance of Aberdeen.